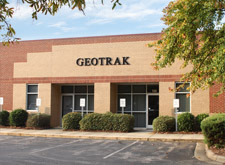 GeoTrak, Inc., located in Apex, North Carolina, has been designing and manufacturing custom electronic tracking devices for wildlife researchers throughout the world since 1999. At GeoTrak, we are committed to providing the most optimal performing devices. We dedicate the necessary resources into research and development which gives us the flexibility to manufacture smaller PTT’s and to incorporate the latest technologies. While we manufacture a wide variety of standard devices, we realize the need for customization required by researchers for various applications and therefore take pride in our ability to be innovative and think outside the box. Customer feedback is always welcomed and encouraged in order to provide exactly what is needed. Our mission is to build on our experience, knowledge and superior customer service, to provide the end user a custom tracking device that will meet and exceed expectations. This is what sets GeoTrak apart from our competitors.